The Elia Beverage Service Station holds two Elia airpots or jugs, ideal for a complete hot beverage service in one. 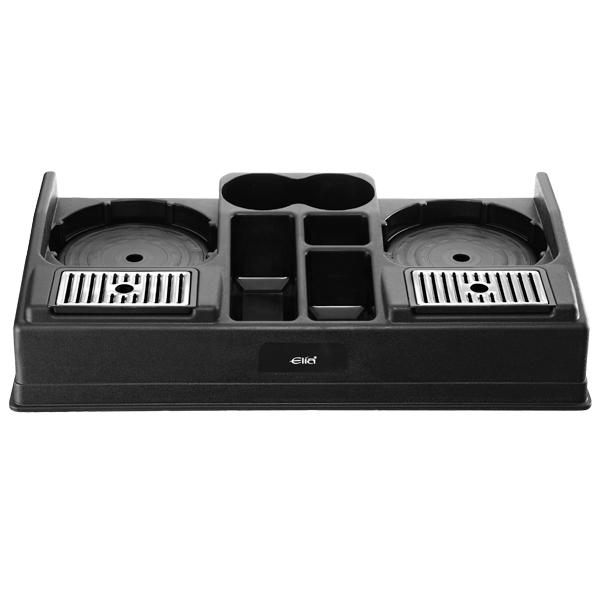 This lightweight, yet durable plastic service station also features 5 compartments for holding accessories such as sugar and teaspoons. 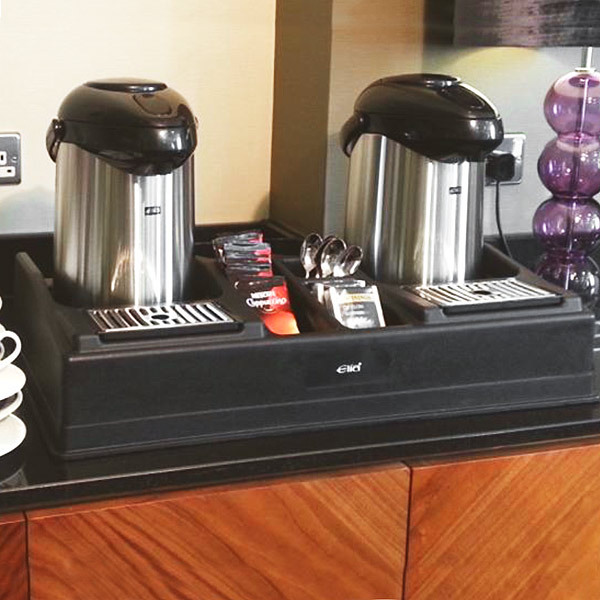 This smart and practical beverage stand is ideal for tea and coffee service in hotels, offices and function rooms. Please Note: Elia Beverage Jugs not included.